With HoloLens and its enterprise-focused software offerings, Microsoft continues to make an impression on companies looking to adopt augmented reality, with Toyota Motor Corporation among the latest. Microsoft CEO Satya Nadella told the Nikkei Asian Review that Toyota is now testing the device on its production line. The company also published a video demonstrating how the automaker is implementing the device and its Dynamics 365 suite of augmented reality apps. "I was surveying AR technologies. Then I learned about HoloLens from Microsoft. I was astounded because it lets us do things we had never done before," said Kayano Koichi, Toyota's project manager of 3D data utilization and the leader of the company's AR/VR/MR efforts for automotive digital engineering. "For example, inspecting coating thickness. In the past, this work took two people a whole day. They had to cut papers and stick them to the car. 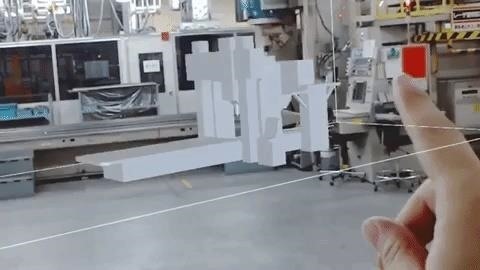 But with HoloLens, one person can do it in two hours. It's revolutionized the way we work." 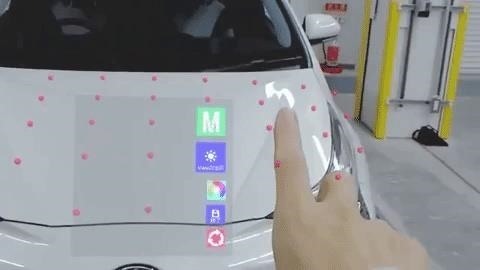 According to Koichi, Toyota is also testing is the Layout and Remote Assist applications for HoloLens. With Layout, engineers can determine if equipment, like large laser welding machines, will fit in the proposed location. Also, via Remote Assist, plant workers can call colleagues for assistance and share their real-time view. "HoloLens is more than a technology that shows data, it's a device that enables Mixed Reality," said Koichi. "We are confident that HoloLens will dramatically change the way we work and we will keep finding more ways to use it." 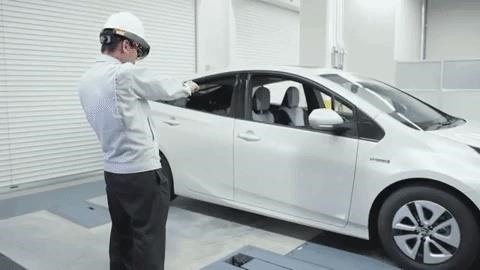 Should Toyota opt to go for a full deployment of the HoloLens, the company would join the likes of Ford, Volvo, and Renault Trucks, several major automakers that have adopted HoloLens into their design and production operations. With regard to the Dynamics 365 suite of augmented reality apps, Microsoft has already made believers out of Chevron. Similarly, the aerospace division of German engineering group thyssenkrupp and German auto parts maker ZF Group are also counted among the earlier adopters of the Layout and Remote Assist apps for HoloLens. Nadella also noted that Microsoft has added Japanese construction equipment maker Komatsu and furniture retailer Nitori among its HoloLens customers. "It doesn't matter if you're a bank," said Nadella. "It doesn't matter if you're in retail, or in automotive. All of you are in the software business and in the digital business going forward." Competing against software makers like Atheer, DAQRI, RE'FLEKT, Scope AR, Vuforia, Upskill, and Ubimax, and smartglasses manufacturers like DAQRI, Epson, Google, ODG, Olympus, and Vuzix, Microsoft is continuing to flex its muscle in the competitive enterprise space, and picking up some high profile customers like Toyota along the way.